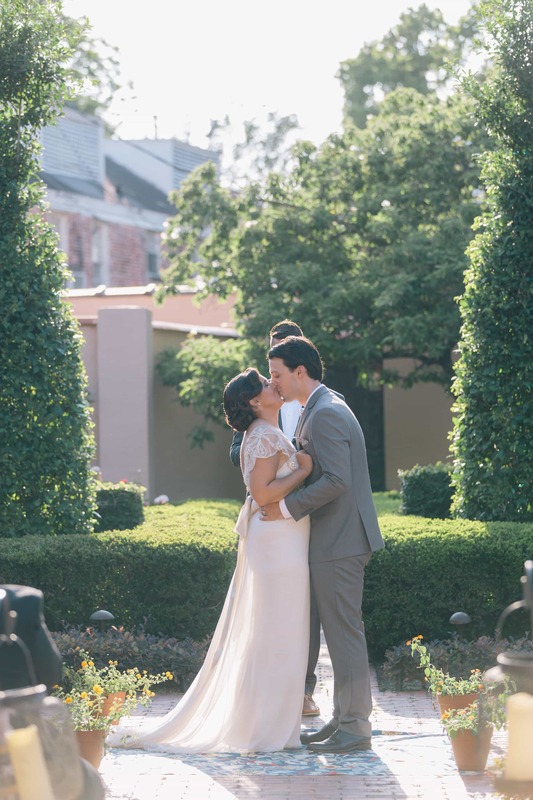 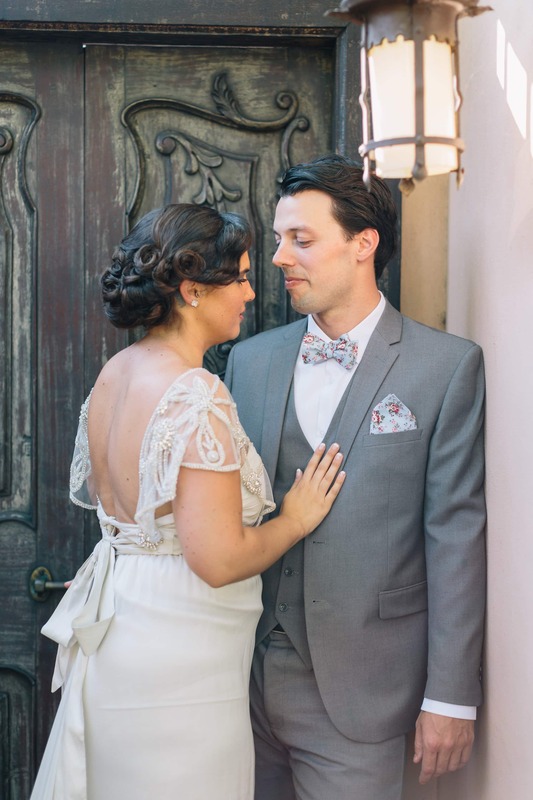 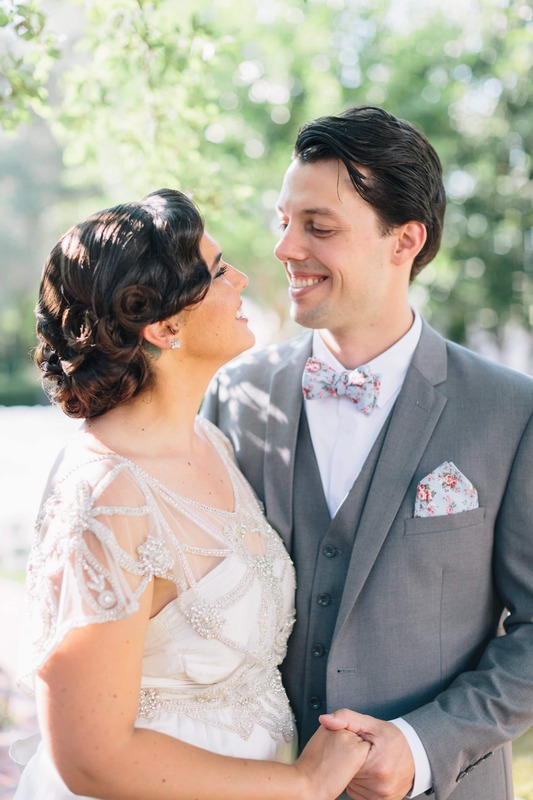 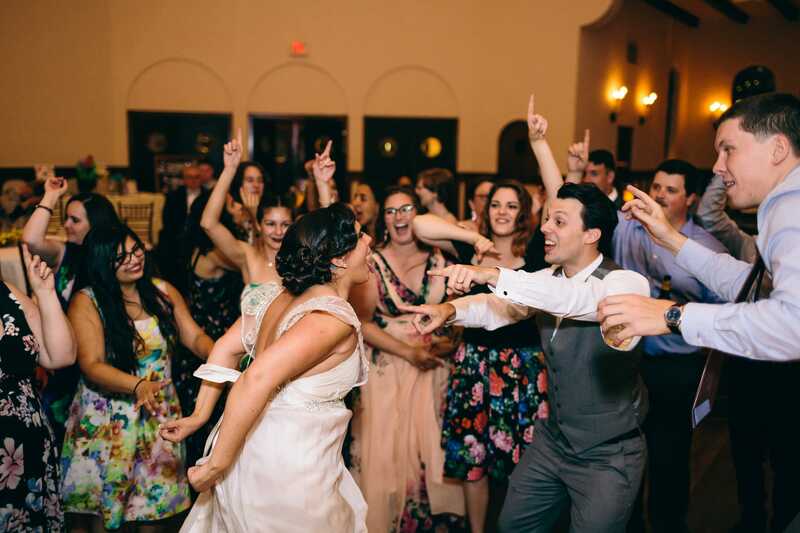 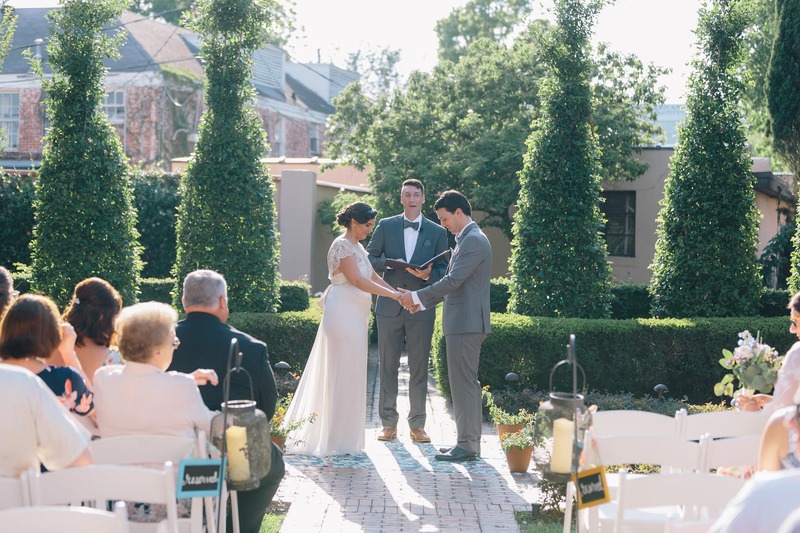 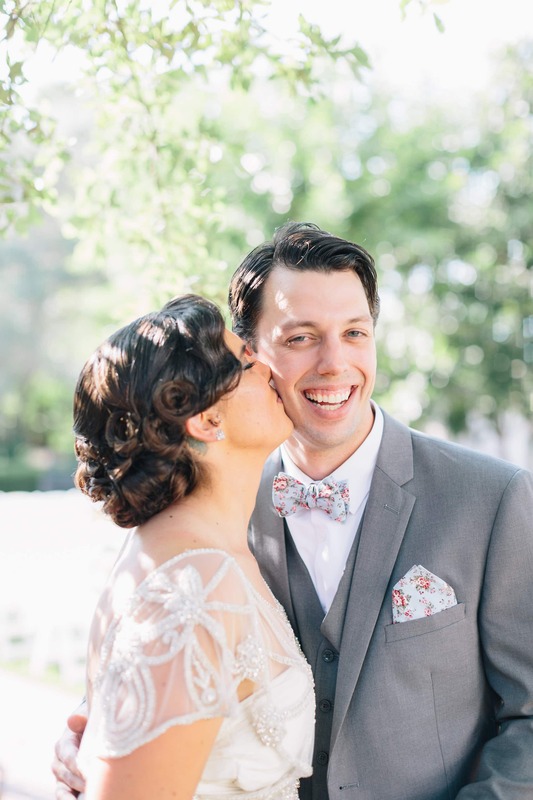 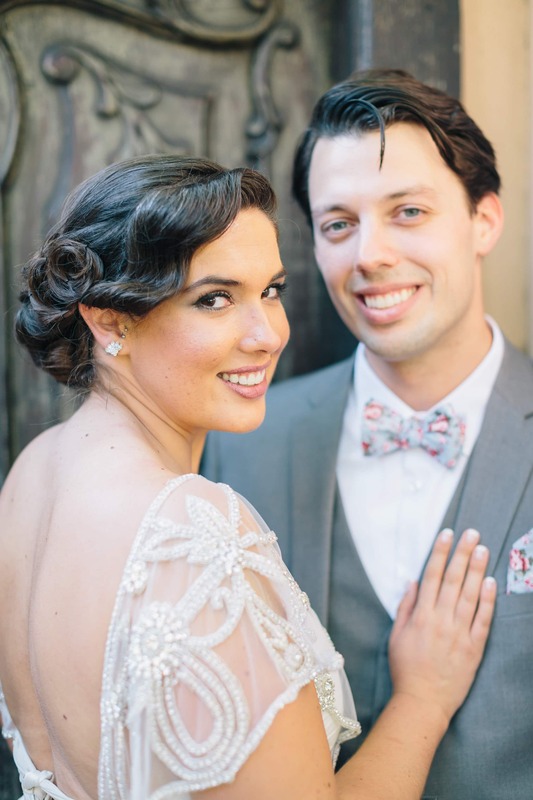 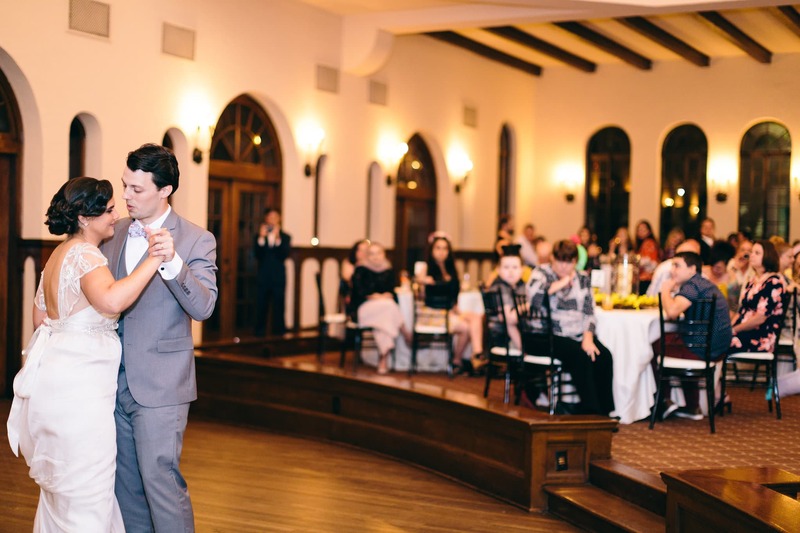 Lauren and Cory’s marriage signified the beginning of a great adventure for the two of them. 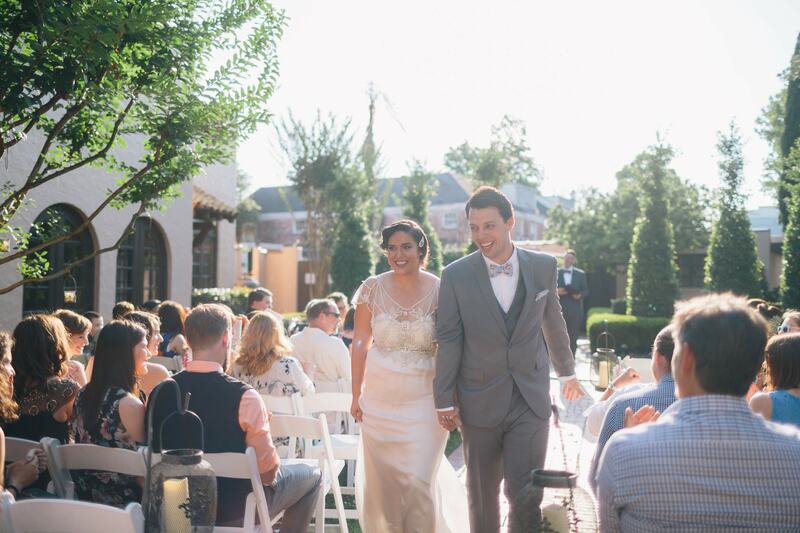 Not only did they begin their life as husband a wife but it also began their journey to moving across the globe to Europe! 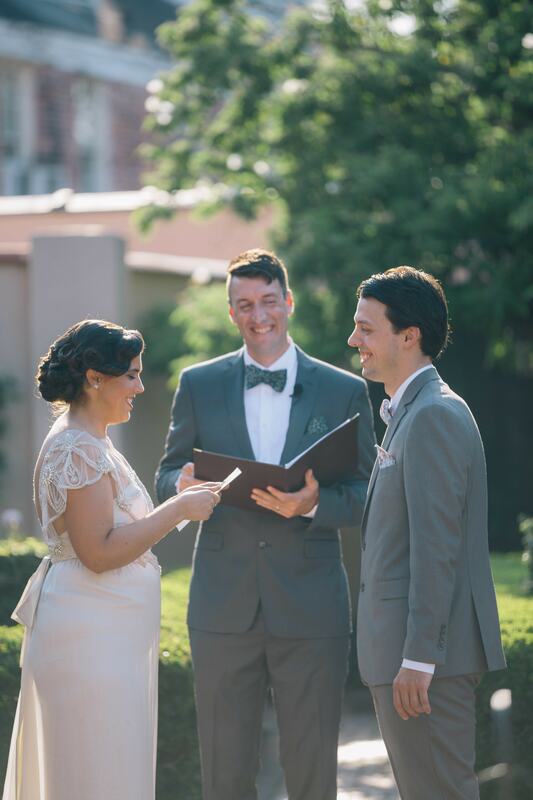 What a way to start their life as newlyweds. 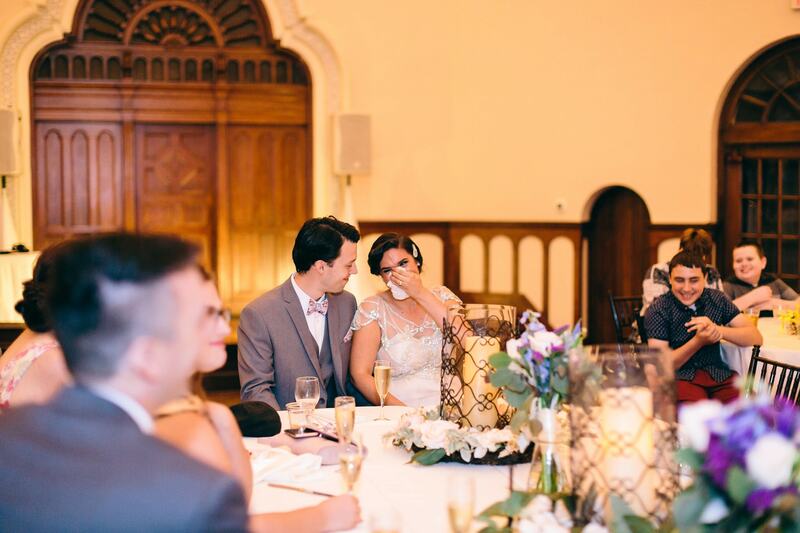 Lauren and Cory selected the landmark venue The Parador to exchange vows and celebrate their marriage. 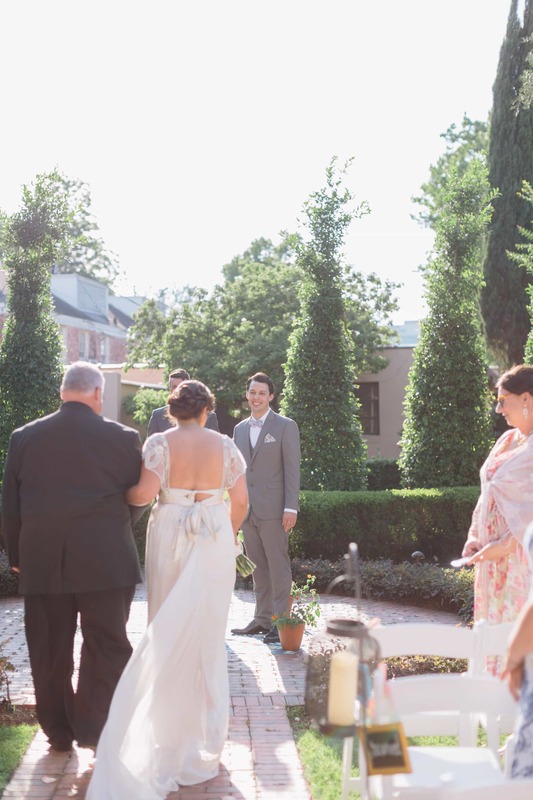 They married in The Parador’s garden on a beautiful, warm summer evening in Gatsby inspired attire amongst their closest family and friends. 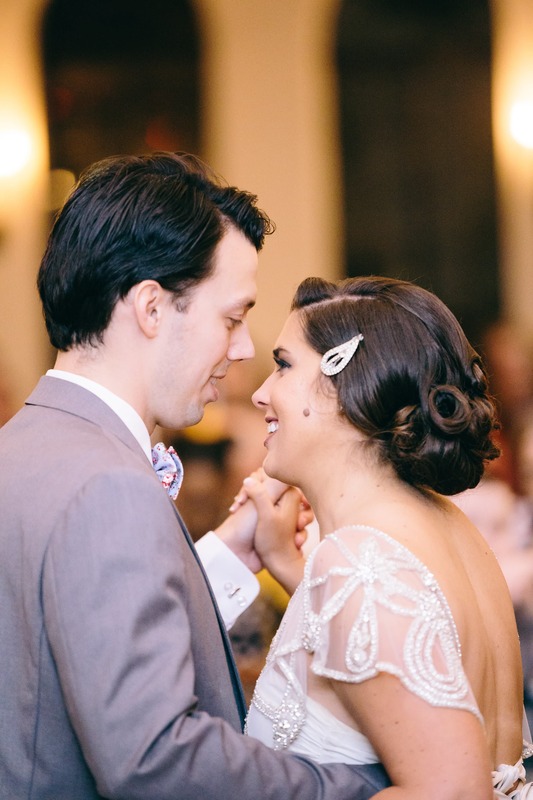 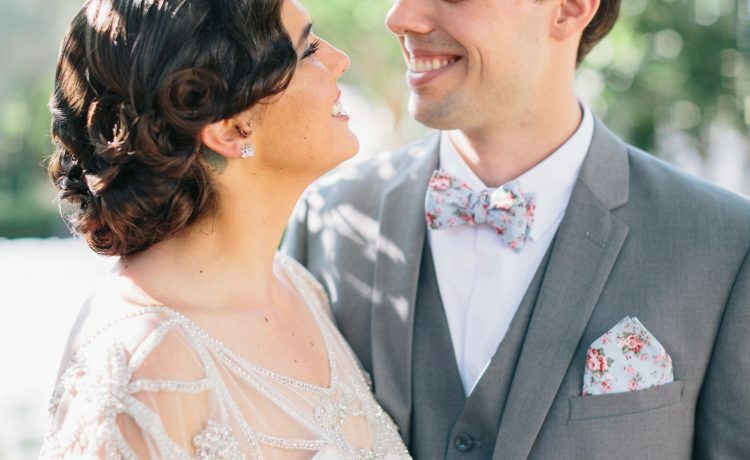 It was a beautiful celebration of a couple who radiated love and affection for one another. 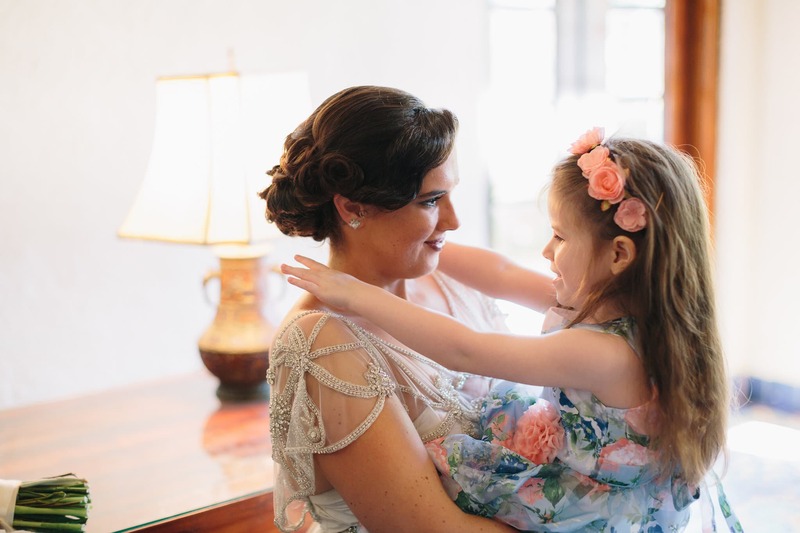 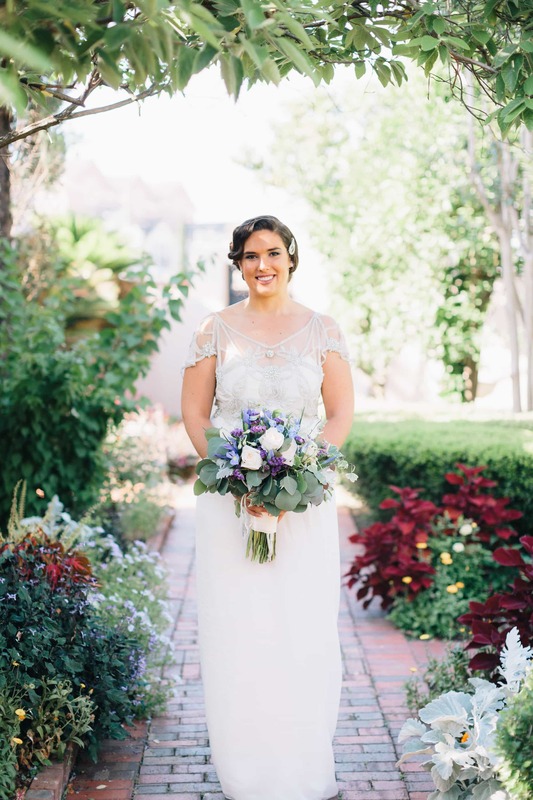 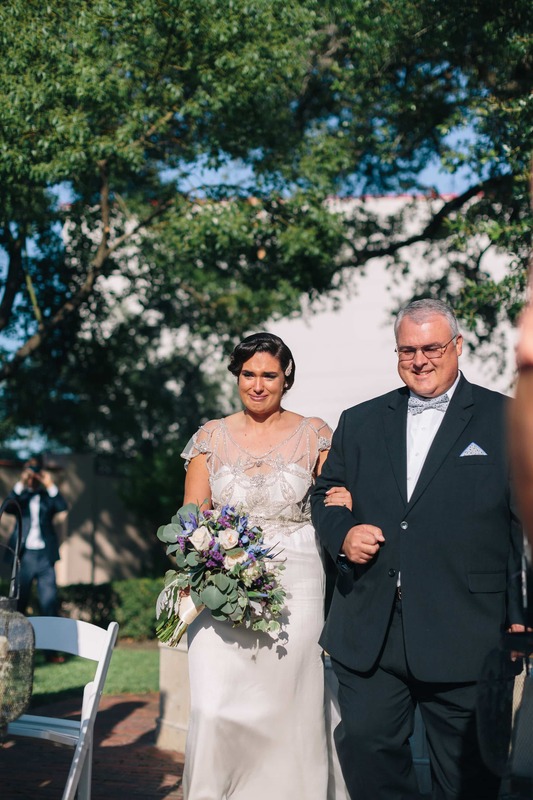 During the ceremony, Lauren incorporated a touching dedication to her mother and mother-in-law, where she split her bouquet and gave each half to their mothers. 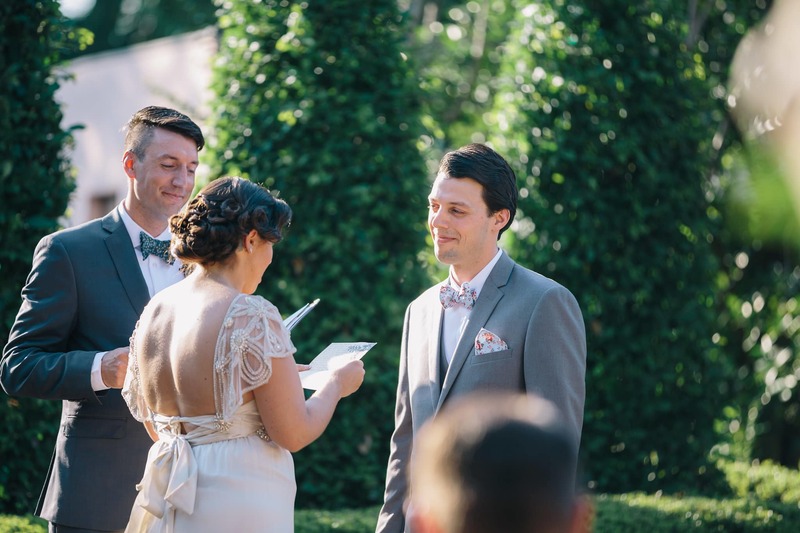 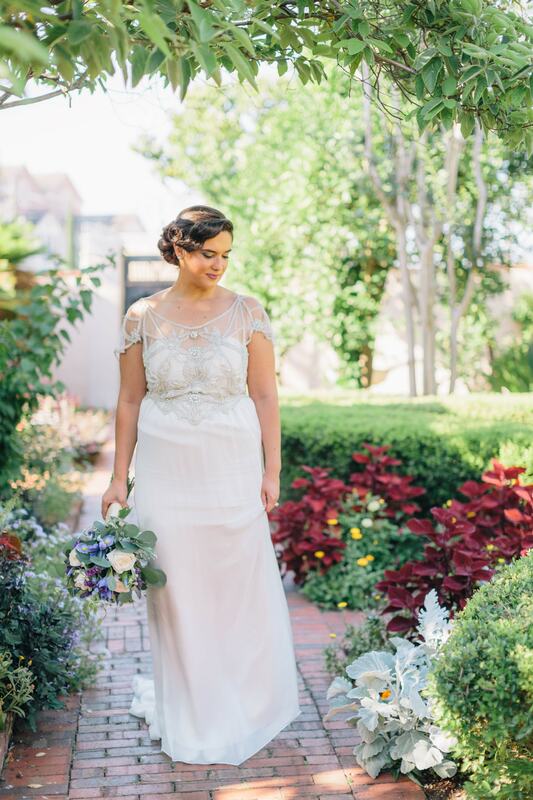 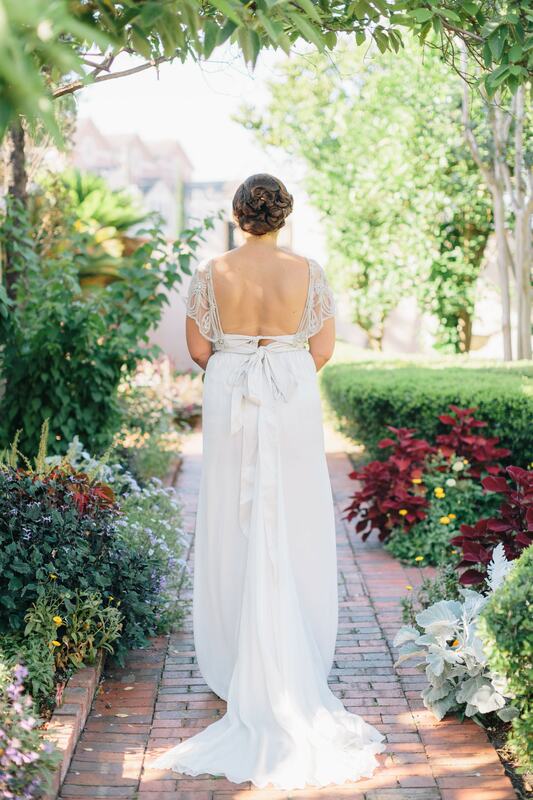 It was a beautiful moment and something we’d love to see more brides incorporate in to their ceremony. 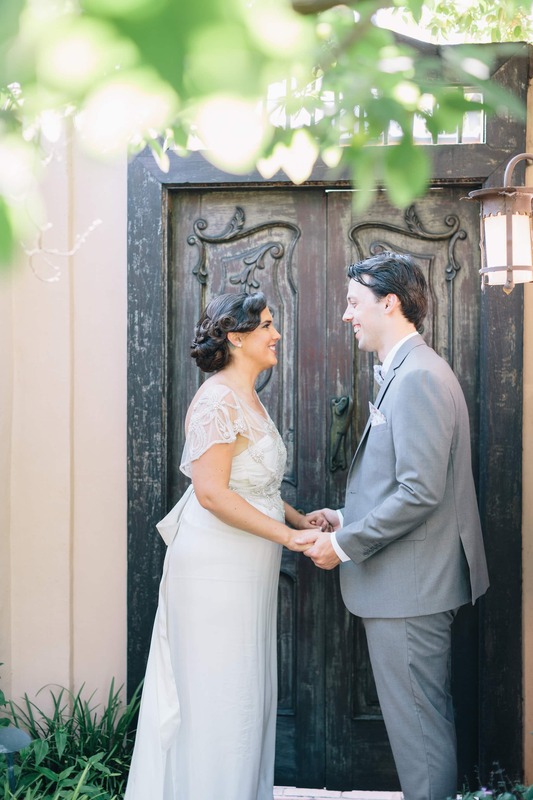 Lauren and Cory’s wedding at The Parador was a joyous celebration of love and the beginning of a sweet adventure abroad for the two of them!